Volatile markets can be extremely rewarding for traders. A $30 stock that moves $3 in a day presents a far greater opportunity to make trading profits than a S$60 stock that sees a price variation of the same amount. However, if you are to make trading gains, it is important that on an average, your profitable trades outnumber those on which you make a loss. Remember that it isn’t possible to make profits 100% of the time. Instead, you must ensure that you win more often than you lose. But how can you do this? Which are the strategies that you must use to limit your losses? How can you enter and exit the market in a manner that allows you to close your trades profitably? A Keltner Channel is a technical indicator that works best in a market that shows a strong trend. If a stock’s price is moving upwards with each successive high being greater than the previous one and with every successive low being higher than the last, it can present an attractive trend following trading opportunity. You can enter the market in the mid-band range. A stop can be placed at a point that is about half-way between the mid-band and the lower band. Additionally, your exit should be placed a little above the upper band. Using this strategy can help you to realise profits in a market that is trending upwards. Using Keltner Channels can be equally useful in a market that is clearly trending downwards. What if the stock does not exhibit a clear trend? In this situation, using Keltner Channels is not advisable. Instead, you can use the Stochastic Oscillator in sideways ranging stock or markets. The Stochastic Oscillator is essentially a momentum indicator that was developed by George C. Lane in the late 1950s. It doesn’t follow the price or volume of a stock to predict a reversal. It is a technical indicator that moves between 0 and 100 based on the momentum of the stock and identification of overbought and oversold levels that are set at 80 and 20 respectively. The overbought and oversold levels as per defined by the stochastic oscillator allows a trader to have a gauge whether a stock or market has moved into an extreme limit within a sideways range configuration. For example, if stochastic oscillator has reached a level above 80 (overbought), it suggests that the stock has reached near the top of its range configuration and a potential mean reversion down move may occur towards the bottom of is range. Vice versa if it reaches a level below 20 (oversold) where a potential mean reversion rebound may occur towards the top of its range configuration. Thus, by using overbought and oversold conditions determined by the stochastic oscillators allows a trader to find potential attractive entry levels for sideways ranging stocks or markets. Trading in stocks, forex, and commodities provide tremendous opportunities for making potential profits. But, there are certain rules that one must remember by heart. One of them is the 2% rule. Never risk more than 2% of your capital on a single trade. In fact, some conservative traders think that the maximum amount that you should put up should be limited to only 1%. While this principle seems simple enough to follow, new traders often flout it. The temptation to risk a greater amount on a “sure trade” can be high. But in the long run, the 2% rule can be a real life-saver. It will help you to preserve your capital and allow you to continue trading actively even if you suffer a series of losing trades. French mathematician Paul Pierre Levy proposed the Martingale System way back in the 18th century. It is basically an investment strategy that says that you should increase your position size every time that you enter a losing trade. Why should you do that? According to this system, every trade that you make cannot result in a loss. When you finally do make a profit, it will be enough to wipe out your previous losses. Double it each time that you make a gain. Which system is better, the Martingale System or the anti-Martingale System? While there is no definite answer that applies across markets, the anti-Martingale system definitely adopts a more prudent stand. It tells you to put up lower amounts when you are losing and to increase your stake when your trades are providing you with a profit. That’s a contrarian approach that can pay rich dividends. It’s true that many investors follow the herd instinct and needlessly panic when the market suddenly changes direction. 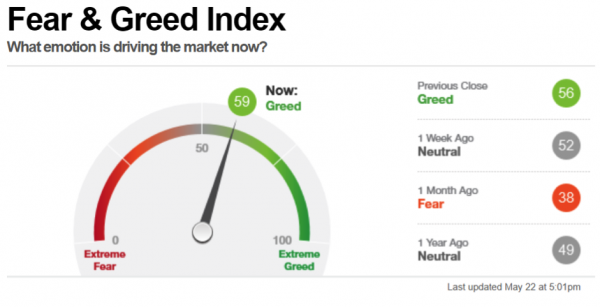 CNN Money uses several data sets to calculate the level of its Fear & Greed Index. This includes the level of the S&P 500 versus its 125-day moving average and the number of stocks hitting 52-week highs and lows on the New York Stock Exchange. The current level of the Index reveals that greed is the primary motivating factor. Back in September 2008, when the financial crisis was at its peak, the Fear & Greed Index sank to a level of 12. Traders can use this information to get an idea of the current market sentiment. If you know what others are thinking, it could help you to make better trading decisions. Your trading strategy and your skills will determine whether you can use volatility to your advantage. 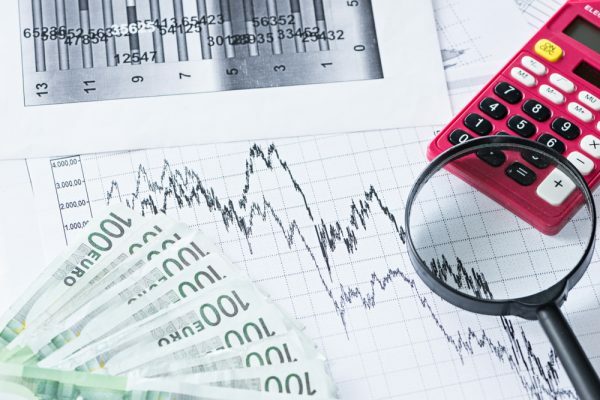 However, you should remember that you need the support of a robust trading platform and a financial institution that can adequately meet your needs. When markets are volatile, trading volumes can go up. You could experience delays in the execution of your trades. This could result in lost opportunities. City Index Singapore is a global CFD and FX trading provider with over three decades of experience. It offers trading opportunities in more than 4,500 products across various asset classes. Opening an account with City Index could be the first step to ensuring that your trading activity gets off to a profitable start. This article is a collaboration between ZUU Online and Kelvin Wong, Chief Technical Strategist for Asia, City Index. Kelvin has over 12 years’ experience in providing market research and employs a combination of fundamental and technical analysis, specialising in utilising Elliot Wave and Fibonacci analysis. Kelvin has a Certified Financial Technician (CFTe) award from the International Federation of Technical Analysts (IFTA) and is a member of the IFTA. He has conducted technical analysis seminars and training programmes for thousands of private traders in Singapore and Malaysia.